WTF Are You Reading? 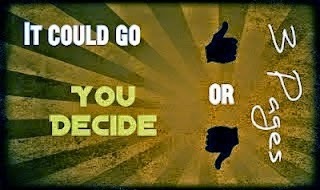 : Will You Consider "The Merciless" A Blessing or A Curse? Will You Consider "The Merciless" A Blessing or A Curse? 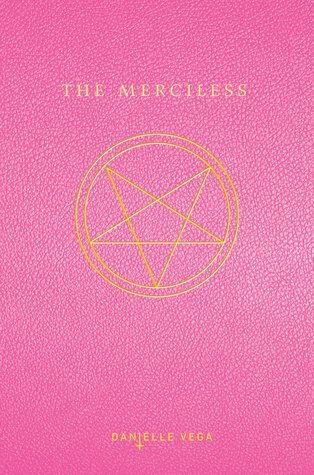 Danielle Vegas' The Merciless is a perfect example of what happens when the book hype machine that we know and often love is allowed to run unchecked. The best statement that can be made about this book in the way of a warning would be: In spite of what you may or may not have heard, try to go into this book with an open mind and no expectations. Main character Sophia Flores, is new to the town of Friendly MS. Looking for new friends she finds herself with two options. Riley, the bible toten' alcoholic. (But its OK because its Communion wine.). Or Brooklyn, who may or may not have sacrificed a cat on school grounds. In the fastest case of insta-friending on the planet. Sophia finds herself an inductee into the cult of Riley...and the games begin. That is when readers discover that there is a long standing history between Riley and Brooklyn, the creep factor is dialed way up, and people find themselves party to attempted exorcisms gone wrong. True to the girlie horror movie reference from previous paragraphs, there is lots of blood, gore, death, and general mayhem. What is sorely lacking in this read however, is a three dimensionality that serves to make the characters of the story real to the reader. At 200+ pages, The Merciless proves to be just the right size for a one sitting read. This is a fun, dark, read that is just right for the colder, gloomier nights of October. Great review. I don't read many YA anyway, this one will not be added to my list. OOh nice review! This--along with 100s of others--awaits me in my TBR Mountain of Doom! I've been hearing good things about its creep factor and that's gotten me all sorts on intrigued! Again, great review!